GALION — An incident in a fifth-grade classroom Friday led to the dismissal of a substitute teacher lat Galion Intermediate School. The teacher, whose name has not been released, was let go prior to the end of the school day by administrators in the building. 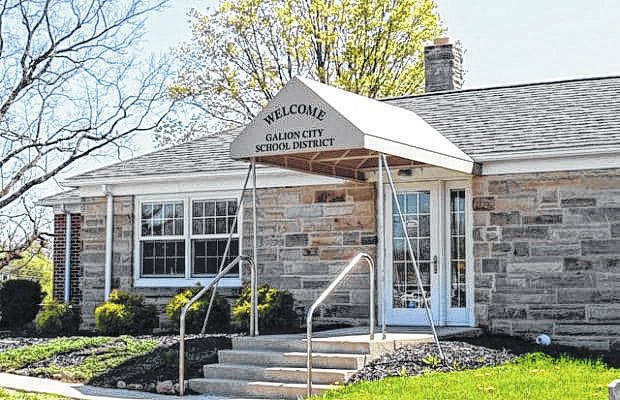 Students in the classroom had advised another teacher at Galion Intermediate School that the substitute had grabbed a few students by the arm and had even caused two students to fall down as a result. The teacher reported the information to the office, which resulted in building leadership looking at video footage, which showed the substitute grabbing a student forcibly in the hallway. “The Galion City School District dismissed a substitute teacher from the Intermediate School late in the school day, Friday, March 2. Intermediate School Principal Alex Sharick confirmed he received a hand-written note from another teacher about the incident involving students at 1:55 p.m. March 2. Mr. Sharick immediately dispatched Assistant Principal Adam Brown to the classroom where the students involved in the incident were located and sent School Social Worker Carly George to the classroom where the substitute teacher was located. “I immediately reviewed the video after Mr. Brown and Mrs. George went to the classrooms and discovered that the substitute teacher had forcibly moved a student by grasping the student just above the elbow,” said Sharick. Following a brief discussion with the substitute teacher, Mr. Sharick asked the individual to collect her things and leave the premises immediately. Upon returning to the Intermediate School office at 2:24 p.m. Friday, March 2, Mr. Sharick was met by family members of several students involved in the incident. “One of the students had sent a text message to a family member who called me to inquire about the situation,” said Sharick. “After the substitute left the premises, I called the first family member back then spoke to the other students’ family members who had gathered in the office to explain the course of action taken and all agreed the situation was handled appropriately. The Intermediate School’s student code of conduct prohibits students from having personal cell phones on their person during the school day. However, the student who sent the text message to a family member will not be reprimanded. “We are thankful the teacher alerted Mr. Sharick immediately and that the student messaged a family member about the situation. Our first priority is to ensure the safety and well-being of all students, and we would ask families to have patience and understanding when we have to assess and investigate any situation that may impact student health, safety and well-being. Since the incident occurred, the Inquirer has confirmed that more than one student in the classroom sent a text home to a parent soon after the incidents took place. In at least two of those text messages, students asked parents to come get them because the teacher had grabbed themselves or another student and the actions of the teacher had scared them. “The kids were afraid no one was coming to help them,” said one parent. The Inquirer will not name the students involved.